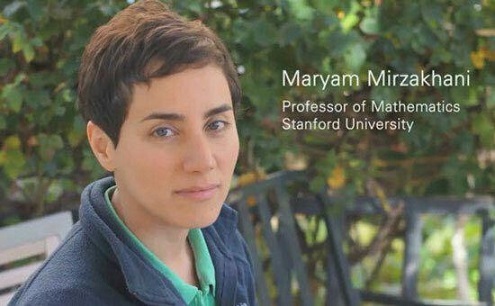 To the Memory of Maryam Mirzakhani. I enjoy learning so here I am. I have learned a lot from some wonderful users on SE and as a payback I will do my best to help others to learn. Please everyone, leave your egos behind when you login to SE. Being knowledgeable and experienced in any field does not, in itself, make you a good human being. Practice patience; and please be nice not only to users you already know, but specially to newcomers to our site. In summary, have fun, and be good to each other. I am interested in any parts of mathematics which I can find an application in science. Some of these areas are Linear Algebra, Abstract Algebra, Real Analysis, Functional Analysis, Calculus of Variations, Differential Geometry, Ordinary Differential Equations and Partial Differential Equations. $0.$ The book of nature is written in the language of mathematics. $1.$ What you think, you become. $\,\,\,\,$ What you feel, you attract. $\,\,\,\,$ What you imagine, you create. $2.$ Something that doesn't kill you will make you stronger. $3.$ Give a man a fish, and you feed him for a day. Teach a man to fish, and you feed him for a life time. $4.$ One cannot escape the feeling that these mathematical formulae have an independent existence and an intelligence of their own, that they are wiser than we are, wiser even than their discoverers, that we get more out of them than we originally put in to them. $2.$ Sometimes it feels like being addicted to MSE! 52 What are Different Approaches to Introduce the Elementary Functions? 20 What is the definition of Curl in Mathematica?